Birmingham, Alabama, has a wealth of dining, shopping, and entertainment options just waiting to be explored. This southern hot spot has a cultural history as rich as its culinary traditions. One of Birmingham’s top draws for families is Splash Adventure Waterpark—home of Neptune’s Plunge, Acapulco Drop, and the Wipeout adventure course—where guests can explore the high-octane thrill rides. Birmingham Civil Rights Institute hosts a variety of permanent and rotating educational multi-media exhibitions. Birmingham’s Robert Trent Jones Golf Trail has eight separate golf courses perfect for golf enthusiasts. 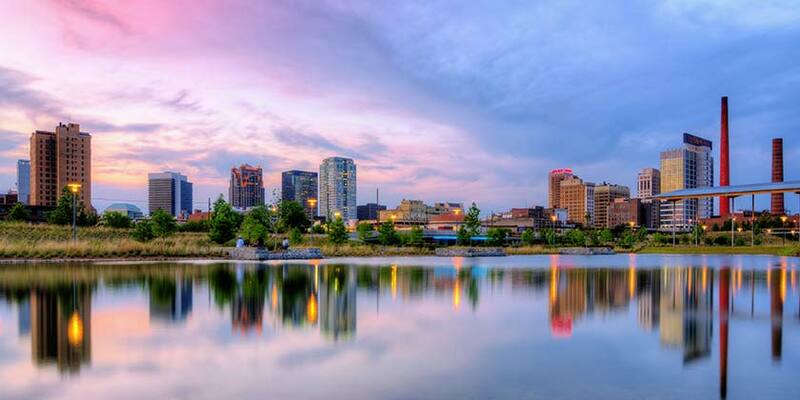 From delicious cuisine to important historical sites, your Birmingham vacation will never have a dull moment.